Have a new baby in your life, human or fur? 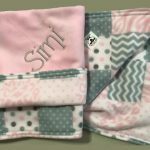 Our client, www.stillsewcrazy.com is offering 20% off personalized crib blankets and pet blankets. Check them out! 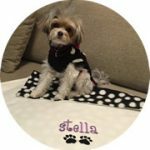 Great quality and you can design one yourself or pick from her pre-designed options. Great for the holidays! Use Coupon code: HOLIDAY16. Offer good through 12/15/16.